Until the start of the 20th Century, the U.S. Mint’s coinage was only designed by employees of the Mint. But that changed in 1904 when President Teddy Roosevelt, in acknowledging that “the state of our coinage is artistically of atrocious hideousness”, commissioned his friend and world-renowned artist Augustus Saint-Gaudens to design a coin with “some beauty”. 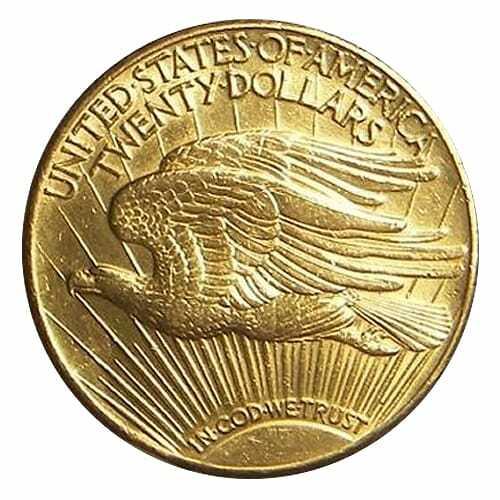 The exquisite Saint-Gaudens double eagle ($20) is the result of these two giants of history and their belief that the United States deserved a coinage as epic as the future that lay before the country. This $20 gold coin is unusual on several counts. First, the coin was commissioned; it was not struck after an Act of Congress. The Saint-Gaudens double eagle was both a presidential and artist-driven in concept and design, with the standing president at the time holding direct power of final designs rather than the director general of the U.S. Mint. Second, it circulated as hard currency, primarily for international accounts. And most unusual, the original minting went into public circulation with only 20,000 coins because the relief was too high. 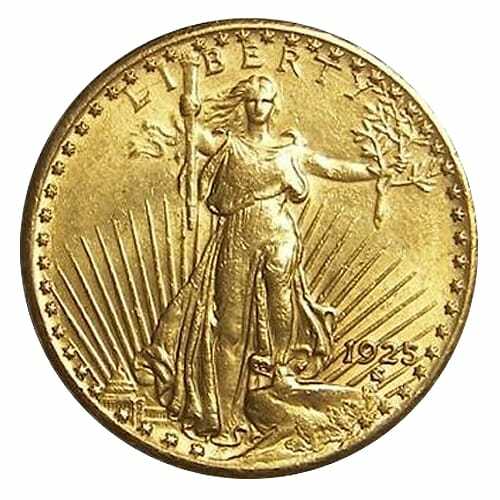 As originally designed, the Saint-Gaudens double eagle coin required nine strikes of the press in order to achieve the high relief Saint-Gaudens had envisioned for the coin. It was struck three different times before it went into full circulation. This coin has a portrait of Lady Liberty so vibrant, that it set the standard for all coins to come. In fact, you will see renditions of the Saint-Gaudens Walking Liberty on the equally famous Walking Liberty half dollar. On the obverse, Saint-Gaudens laid the foundation for use of a flying bald eagle on a coin. To maintain the balance of the tableaux, Saint-Gaudens chose to edge the coin with “E PLURIBUS UNUM,” rather than engrave it on the face of the coin. Saint-Gaudens goal was to create a coin of the caliber of Greek art of antiquity. One look at the 1907 proofs of this breathtaking coin will show that had metal pressing been more efficient at the time, he would have achieved his goal. 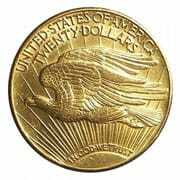 Once thought rare, it was subsequently discovered that millions of these $20 gold coins were held in foreign banks around the world; they were only rare at home until 1933 when a significant number were repatriated. To learn more about Saint-Gaudens double eagle ($20) coins and to get current pricing, please call us at (800)355-2116.